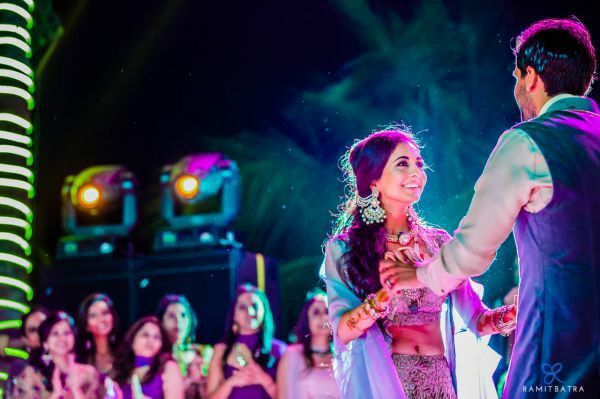 This Graceful Dubai Bride Is All The #BridalGoals You Will EVER Need! 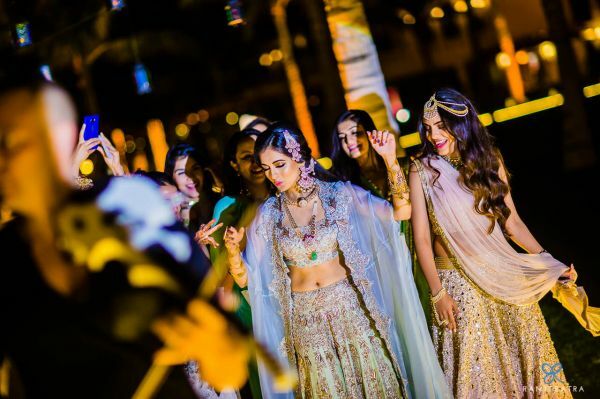 The bride dressed up in a pretty pale blue embroidered lehenga while the groom complemented her in an elegant ivory-coloured outfit. 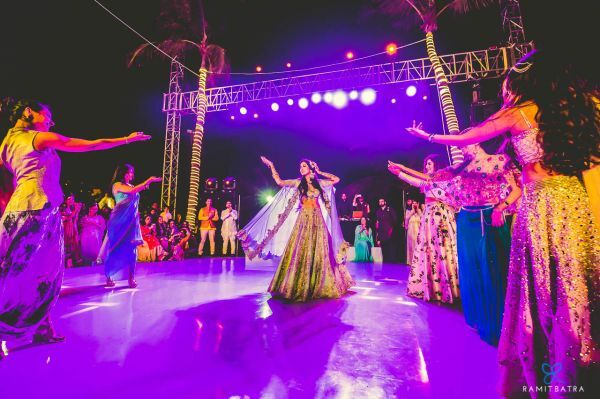 The couple opted for ace designer, Rohit Bal’s Gulbagh collection for all their wedding outfits. 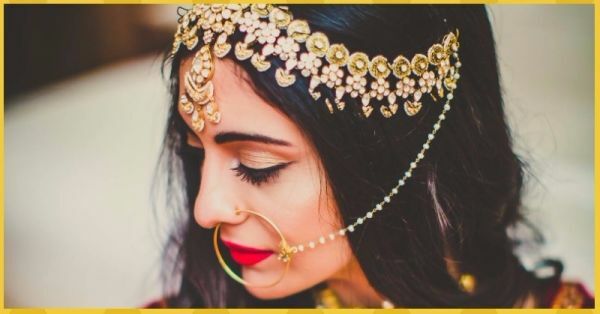 Nazuk went in for minimal make-up and that passa sure did steal the show! 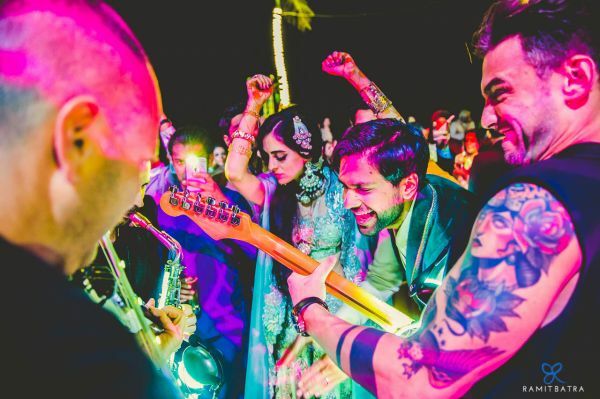 If you thought the sangeet ceremony was pretty, you have to see the wedding. 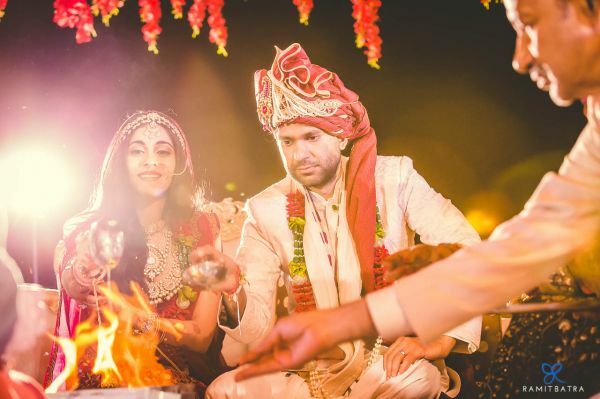 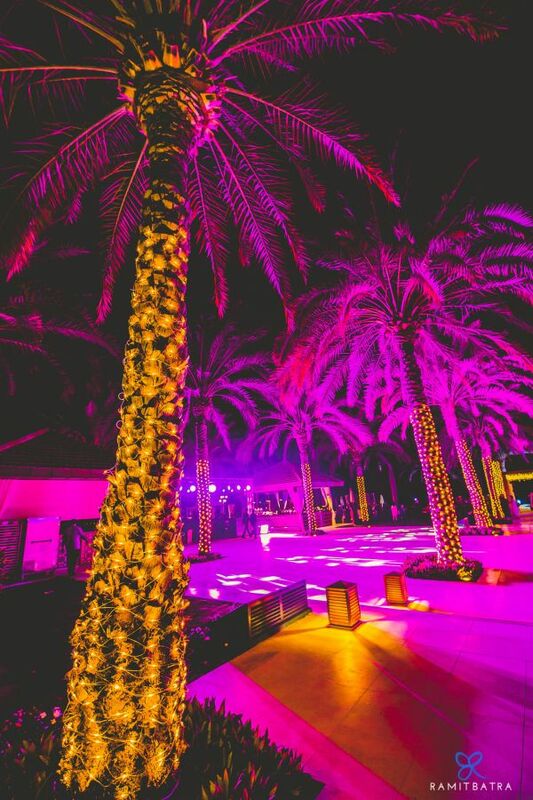 It was an evening wedding, with the whole venue lit up with innumerable lights, giving it a heavenly glow. 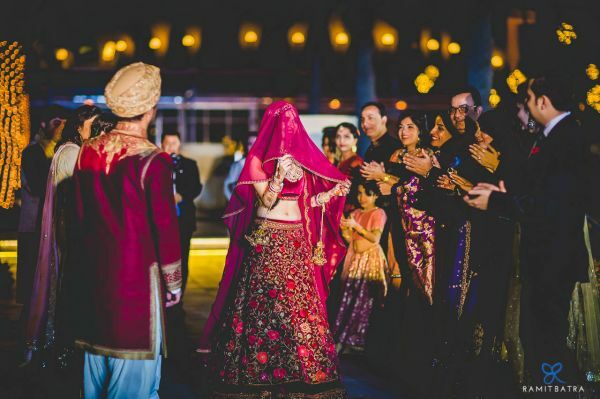 The bride opted for a stunning marsala lehenga with heavy embroidery while Vaibhav wore an ivory sherwani with a maroon pagdi to match his wife. 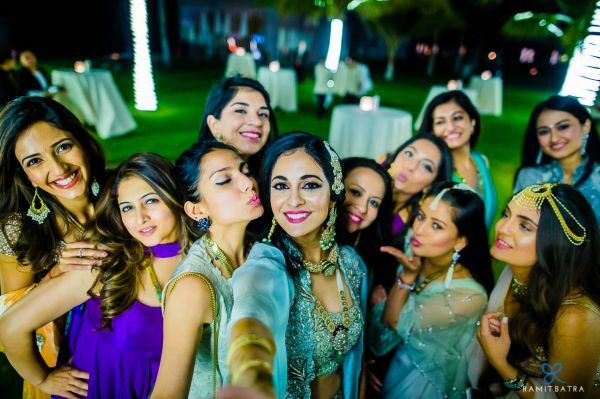 The bride’s subtle make-up done by Gulnaz Nejmi from Dubai balanced her elaborate outfit. 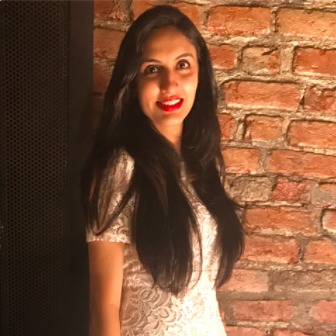 But if there’s anything we’re totally crushing on, it’s the statement maathapatti! 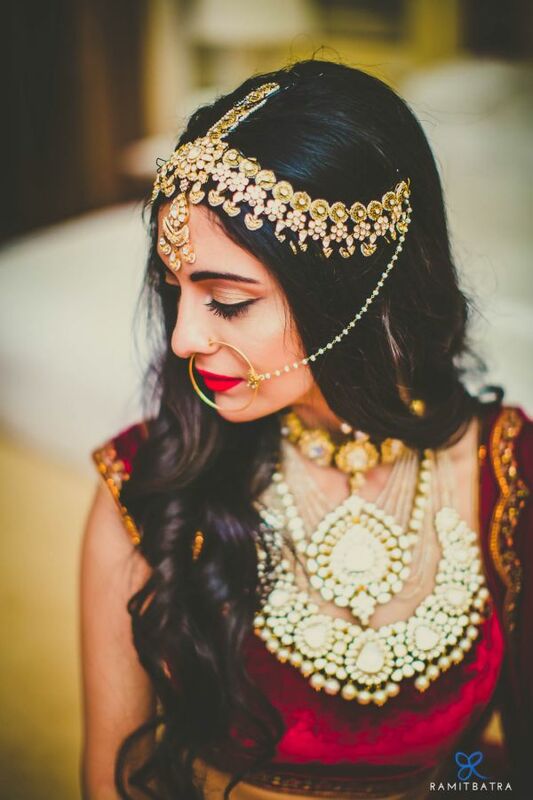 So gorgeous! 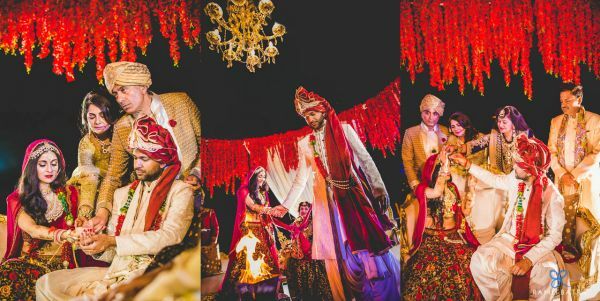 We are SO in love with this stunning wedding and we wish the couple a very happy married life ahead!